Revolution 21's Blog for the People: 3 Chords & the Truth: 33. 45. 78. 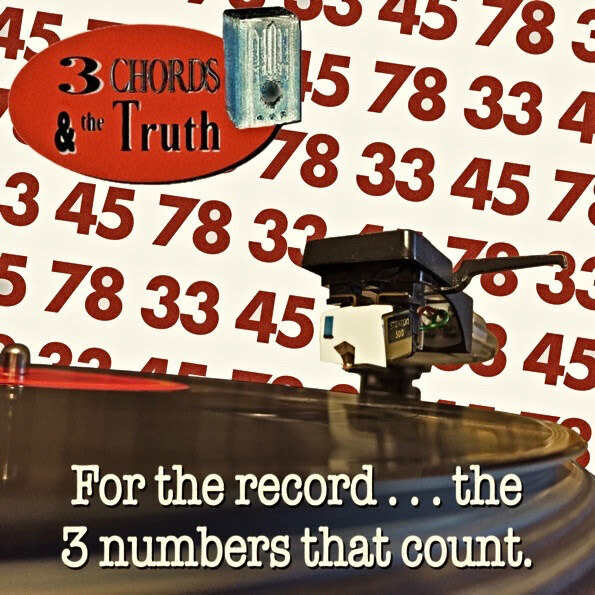 That's RPM to you and me and, to be completely accurate, the 33 is actually 33⅓ -- the speed at which a vinyl LP rotates as the music jumps out of the grooves, onto a phonograph needle and into your hi-fi as it prepares to caress your eardrums. Compare this to your average MP3 file, which slithers out of a pair of earbuds emanating from some plastic thingy, on its way to mug your brain. And, no, the irony is not lost on us that 3 Chords & the Truth comes to you over the Internets as . . . an MP3 file. TECHNOLOGY . . . damn . . . you . . . to . . . HELL! Anyway, the other numbers on the Big Show this week represent the revolutions per minute of your 7-inch 45 single and your extremely obsolete 78 record. No matter the number, we treasure them all. And that's how we roll on 3 Chords & the Truth. Amen.